Looking for the cheapest Piper Heidsieck? Compare current prices, deals and vouchers. Look into the Price History for each product to get the best quality at the lowest possible price. 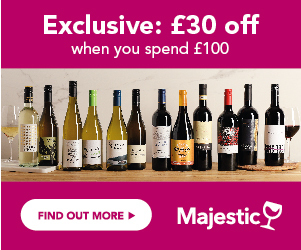 Have a look at our Deal of the Day or sign up to Price Alerts to never miss your favourite bottle when it goes on sale. The Heidsieck name is very famous in Champagne, with several brands bearing a version of the name. The history dates back to 1785, when Florens-Louis Heidsieck created the Champagne house. The Piper Heidsieck brand was created in 1839 as the descendants of the founder set up their own companies and differing Champagne houses. Unusually for top Champagne houses, the Piper Heidsieck company owns no vineyards and purchases grapes from around 60 growers. With its bold and unmissable red label, it is a highly popular Champagne, particularly in supermarkets and now occupies the number 6 slot in the top ten Champagne brands. It was acquired by the group Remy Cointreau during the 80s, but was sold to a French luxury goods company, EPI in 2011. Piper Heidsieck is maintaining a strong position on the UK market, especially in the off trade, with its keen pricing, distinctive packaging and competitive positioning, which supports its heritage. What’s The Background To Piper Heidsieck? The house of Heidsieck was established in 1785, by Florens-Louis Heidsieck. Inherited by his 3 sons, they split the business and carved out their own ventures, and the various businesses continued down the generations. The other two houses were and still are Heidsieck Monopole and Charles Heidsieck. The Piper-Heidsieck brand and house of Champagne was created in 1839, when Henri Guillaume Piper, who had long been involved in promoting Heidsieck and was a cousin of the family, married the widow of Charles Heidsieck. A favourite with the French aristocrats and also in the UK, the house held a centenary banquet and commissioned a gold and diamond Faberge ornament; the celebrations returned in 1985, when a banquet to commemorate 200 years, was held at the Chateau de Versailles. The company was acquired by the multi-national group Remy Cointreau in 1990, bringing it into the same stable, as its relation Charles Heidsieck. The bold red label came into existence in 1997, when the brand owners were looking for a strong point of difference and an eye-catching presentation to help them compete more strongly in a very competitive market. What Styles Of Wine Does Piper Heidsieck Make? The Piper Heidsieck house style is bold, uncompromising, and rich, with blends dominated by Pinot Noir. Piper Heidsieck Brut NV – with its distinctive red label, this is a full flavoured, bold Champagne, with lots of structure, and toasty richness. It’s made from over 50% Pinot Noir, with 30% Pinot Meunier, and only 15% of the softer, more delicate Chardonnay in the blend. Piper Heidsieck Brut Sauvage Rose NV – a striking Champagne, with a vibrant pink colour, once again produced from a blend dominated by Pinot Noir and Pinot Meunier, with 15% Chardonnay and the addition of red Champagne wine for colour and body – bolder, and fuller than many Roses, it has lively red fruit character, and structured elegance and charm. Piper Heidsieck Cuvee Sublime NV – a richer, fuller, demi-sec style, with an intriguing, soft salmon pink tinge to the colour; once again Pinot Noir and Pinot Meunier dominate, bringing to the wine a rich, mocha and dark chocolate edge, with ripe berry fruits, and caramelised hazelnuts – rich and intense. Piper Heidsieck Cuvee Brut Divin NV – a truly stylish Champagne, made exclusively from the Chardonnay grape, which plays a far smaller role in the majority of the Piper Heidsieck blends. With aromas and flavours of citrus, lime blossom and baked apples, this is a more delicate, almost ethereal style, with a feminine edge, and lightness of touch. Piper Heidsieck Brut Vintage – produced only in exceptional years, and once again based on the full flavoured house style of 55% Pinot Noir, 35% Pinot Meunier, and just 15% Chardonnay – a rich, stylish Champagne with depth, structure and body, toasted hazelnuts, rich creamy orchard fruits and a strong, nervy character, which promises to age well. Piper Heidsieck Cuvee Rare – a unique and prestige blend, combining 65% Chardonnay with 35% Pinot Noir; this style is more delicate and restrained than many in the Piper portfolio, largely due to the higher percentage of the elegant Chardonnay. A delightful treat, with a gentle mousse, refined, creamy aromas, and a restrained, yet beautifully poised flavour of red berry fruits and cream, which linger.